Three vehicles were also damaged from the explosion. 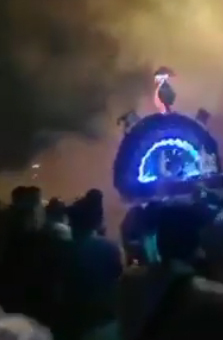 The firecrackers were lighted up at Sri Subramaniar Temple to celebrate Thaipusam at about 8.40pm. 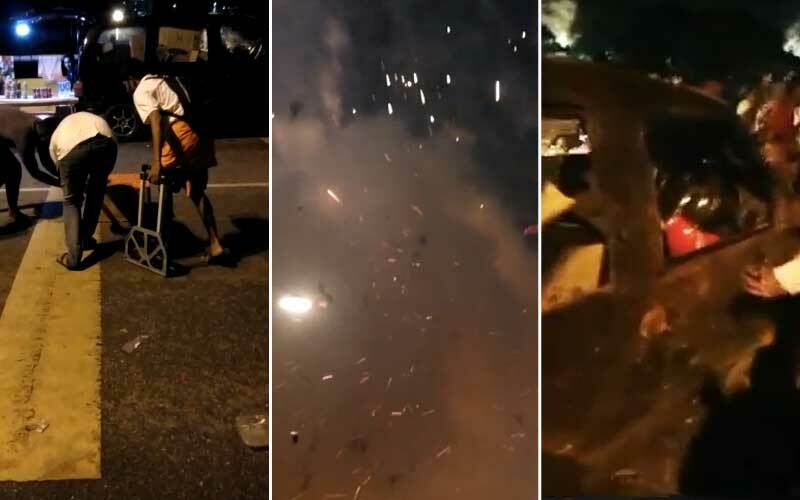 However, things turned sour when the firecrackers blew up on the road instead of exploding in the air. It injured many people in its vicinity, revealed Gombak District Police Chief ACP Samsor Maarof, according to New Straits Times. 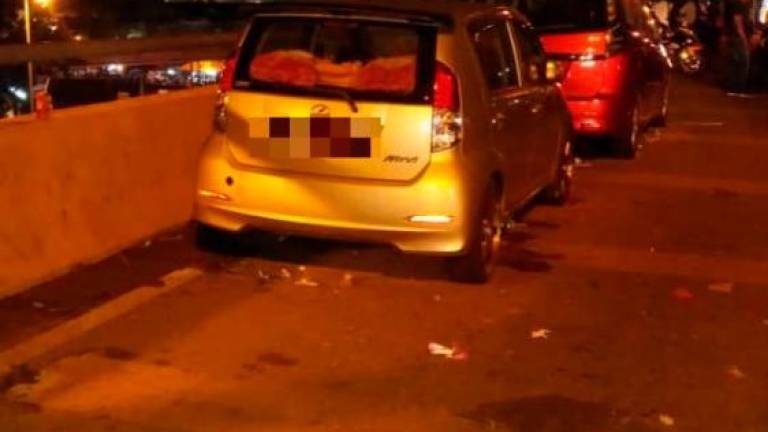 Three vehicles were also damaged during the incident: a Nissan Serena, a Proton Exora, and a Perodua Myvi. A 23-year-old man, who works as a dancer, was detained by authorities soon after the incident. Roughly four hours later, a 28-year-old man was also arrested. A third suspect believed to be involved in the incident was arrested by police today. "All three suspects have been remanded for four days," ACP Samsor said when contacted by The Star today, 22 January. Screenshot from a video of the incident. However, it is believed that the firecrackers may have exceeded its expiry date. He added that police did not issue any permits to allow fireworks or firecrackers during the festival. The case is being investigated under Section 286 of the Penal Code, for negligence in handling explosives.